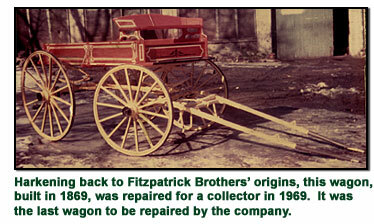 FITZPATRICK BROTHERS was founded in 1894 by Thomas A. and Martin J. Fitzpatrick. In 1919, Thomas' son Harrison N. joined the family business, followed by Thomas W., his other son, in 1929. Harry and Frank, Harrison's sons, began in 1954 and 1956 respectively. Finally, Harry's son Neale began working full time for the company in the late 1980s. 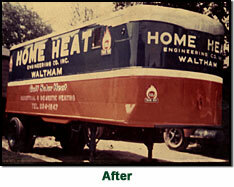 In the early days, we repaired horse-drawn wagons. With the rapid changes in technology over the past 100 years, however, Fitzpatrick Brothers has transitioned from a wagon repair shop to a technically advanced collision repair center. 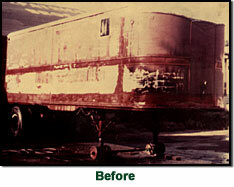 In 1926, we were the first auto body repair shop to use spray guns. 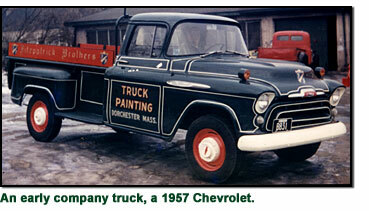 (Until that time, all cars and wagons were painted with a brush.) Over the years, we have repaired fire engines, civil defense vehicles, police cars, and many different commercial fleets, including cranes and construction vehicles. In 1969, we revamped our business to concentrate on automobiles and small commercial vehicles. The land on which our business is situated is the same land that we started with in 1894. We are proud to have stayed in the same neighborhood, serving this same community, for all of these years. Over the past twenty years, both technology and equipment have changed rapidly. We have kept up with these changes by adding new spray booths, welders, frame machines, and computers to ensure proper repairs to our customers' vehicles. Through a Depression, two World Wars, and many other life-changing events, we have stuck to our philosophy of repairing cars properly, and sending our customers home happy.